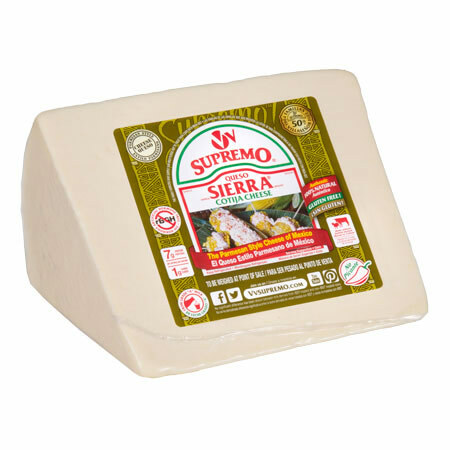 Made in the Michoacan tradition, our Sierra® Cotija style cheese is crafted from whole, grade “A” whole cow’s milk, with no added artificial rBGH hormones, additives, or preservatives. A firm texture and full, bold flavor make it perfect for menu items of any ethnic origin requiring a robust, artisanal accent. 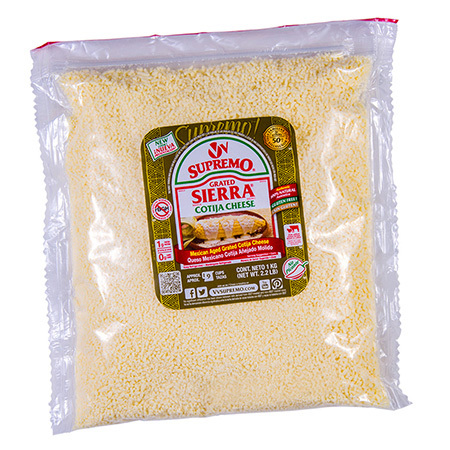 The Parmesan-style cheese of Mexico. FLAVOR PROFILE: Bold, sharp, rich and full. CHARACTER & TEXTURE: Firm and dense. Can be grated, shaved or broken into large crumbles. 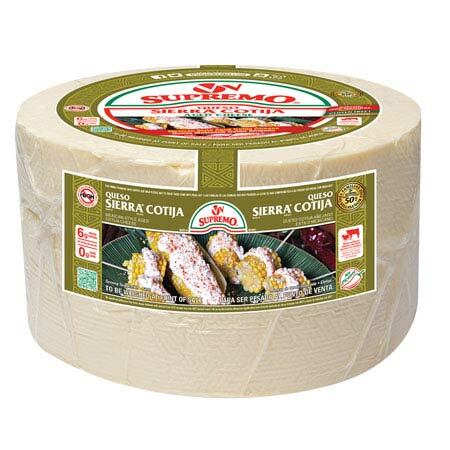 SUGGESTED APPLICATIONS: Most typically grated over grilled corn, this full-flavored cheese is perfect for refried beans, soups, salads, and casseroles. Try it grated or shaved on pizza, pasta, and cooked vegetables. CHARACTER & TEXTURE: Conveniently pre-grated. SUGGESTED APPLICATIONS: Typically sprinkled over grilled corn, this full-flavored cheese is perfect for refried beans, salads, soups, casseroles and stews. Try it on pizza, pasta, and cooked vegetables.